Recycling Works: Are cereal Bags Recyclable? The mid-19th century breakfast of choice consisted mainly of fatty meats and were largely lacking in any type of dietary fiber. In 1863, James Caleb Jackson, operator of the Jackson Sanitorium in New York and a staunch vegetarian, worked to redefine breakfast. Although Jackson was the actual inventor of the first type of breakfast cereal, the Kellogg family would go on to improve it and have been widely remembered for the invention. Today’s cold breakfast cereals, being packaged in both a plastic bag and a boxboard box, pose some questions regarding the recyclable nature of each. According to the Kellogg’s company, “Most of our cereal, cracker and waffle box liners are made of high-density polyethylene (HDPE), which is coded as #2 flexible plastic. This is the same material used to make white plastic grocery bags. Number 2 plastic is commonly recycled, but the recycle symbol is not typically printed on plastic bags or liners. 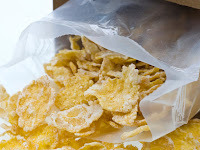 If the bag that your cereal comes in is HDPE flexible plastic, they are recyclable with your plastic grocery bags and able to be dropped off at your local grocery store bag collection container. 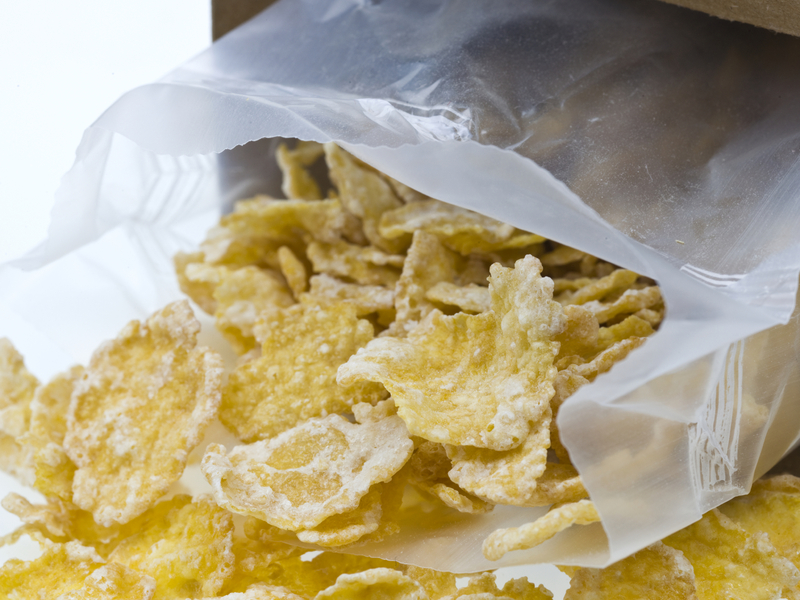 Some cereal bags are made of more of a wax paper-like material. Unfortunately, this type of bag is still a trash item by most conventional processes. Really Nice one! fantastic and usefull post right infromation. Thanku for share this post. Good ang High quality in Low cost ethyx packaging solutions provider in India for HDPE Bags ,PP bags,Woven bags anf other bags Supplier for all type of business services.Nice and good infromation post. thanks for share this post. Excellent post--concise and informative, got my question answered. There just isn't enough public knowledge about the varieties of plastic bags that can be recycled. (Also, to be a "staunch vegetarian" in 1863 must've been very unusual. I Googled James Caleb Jackson..interesting guy).